Happy, happy Friday!! I am so excited because this is the first Friday I'm home for for the summer! As much as I have loved school, I am definitely ready for a three month break and to see some of my friends from high school. Right now I am in the process of not only unpacking but trying to get rid of a ton of stuff. My closet is filled to the brim with clothes and so is my dresser, and I swear, I don't wear half of it, so I am trying to pair down everything and find a good place. Anyways, here's all the things I've been loving this week! Not enough people are talking about Caroline Kennedy's Met Gala gown. One of my goals for my life is to support more small businesses, and I've found my first one! Luella is the cutest online store, and the pastel pink and fun shirts are to die for. This Queso Queen shirt might find its way into my wardrobe soon. As much as I've loved my Lilly planner for the past five years, I want to switch it up in the fall. While it may be way too soon to start looking at a new planner, the Blue Floral Planner from 1Canoe2 is definitely #1 on my list. Dana Schwartz is one of my favorite people to follow on Twitter, and she just released a book! I preordered it, and I just started reading it yesterday. It's a young adult novel, and I am really enjoying it so far. After following Dana Schwartz on Twitter for a while, I can definitely feel her voice in the book, which I really like. 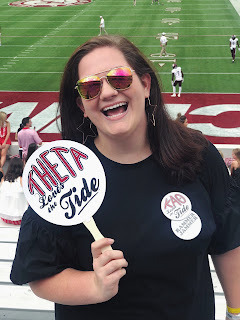 If you need a graduation gift for someone in your life, check out Dorothy's post! I think it's important for a graduation gift to either have sentimental value or be really useful or else it becomes another piece of junk, and all of Dorothy's picks are great. Harry Styles's new song. That's all. I am totally up to do a wall crawl in Atlanta with some of my friends this summer.